My favourite character in this story is Gargoth, the grumpy gargoyle. I liked him in the story because he stood up for himself and he really could throw a good apple at the Collector. The Gargoyle at the Gates mainly takes place in Toronto. A park by one of the main characters’ house is the home to the hidden gargoyles. The author does a good job of putting a picture in the reader’s head of what the park and Toronto look like which is good because I have not been to Toronto yet. The story has parts that take place in another time in England as well. Christopher has just moved to Toronto and sees some strange things in the park next door. He realizes that apples and noises from the park are coming from gargoyles. The gargoyles become his friends as well as a girl named Katherine (from his school) and Cassandra (a local store owner). They all work together to stop the Collector from stealing the gargoyles. Unfortunately, the Collector is able to get Ambergine, the girl gargoyle and keeps her in a cage. The friends create a plan to get the gargoyle back. With help from a boy and his grandpa, Ambergine is returned to the park. I chose this book because the title was interesting to me and I really didn’t know a lot about gargoyles before reading this book. I learned some interesting facts about gargoyles and even did some research after reading the book. Gargoyles were built to protect buildings, but also for drainage and were a type of water spout on buildings. I really liked how the author described the scenes well and gave me a really good picture in my head of what was happening and what it looked like. 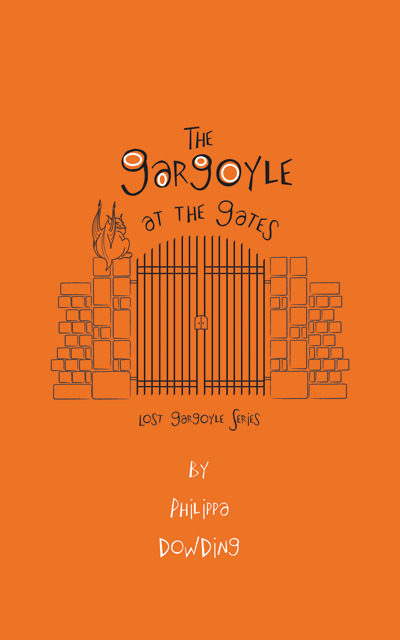 This was the third book in the Lost Gargoyle Series and I plan on reading the other two books: The Gargoyle in My Yard and The Gargoyle Overhead. Review by Connor, age 11, grade 7.